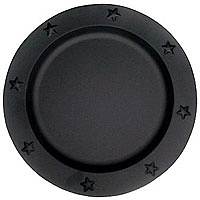 Use these large black charger plates to create beautiful centerpieces and protect your table surfaces from heat damage. 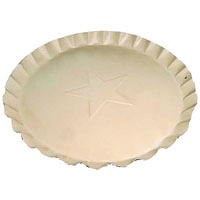 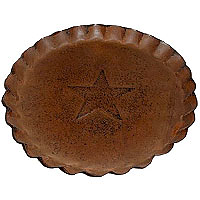 The decorative plates have raised stars around the edge giving them a nice country look. 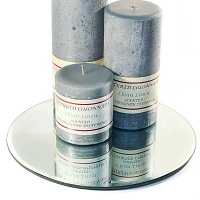 When you put your candle displays and accents on a decorative charger it makes the decoration look complete. 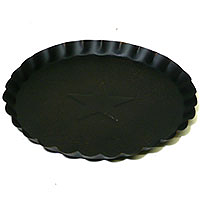 The center surface area is approximately 8 inches diameter.